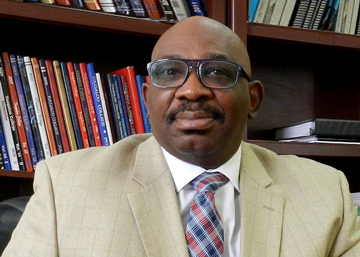 I am excited to welcome you to Tougaloo College. Student Affairs staff members are prepared to assist you in achieving success and making your dreams a reality. We offer an array of support services in such areas as counseling, career services, student activities, Greek life, campus safety and residential life. We are here for you. The spirit of Tougaloo College is evident in the administration, faculty and staff. We stand ready to support you through your higher education journey. We will help you identify ways to get connected, challenge you to “Build Your Personal Brand” and share opportunities that Tougaloo has to offer. The College provides students with a sense of family, love, protection and challenge, which enables them to aim high and become successful. Here, at the Eagle Queen, we celebrate the past, present and future. We boast an exciting student-centered education where students thrive in our total learning environment. Our students are being prepared to compete in a global society on a campus that is conducive to high educational pursuits. Our academic programs, student life experiences, and athletic and social activities engage students in a captivating way. Our individualized student relations offer great customer service that assists students in every step of their path to success. We are elated to have you join our family! There is truly a place for you at Tougaloo College, and whatever your dreams and aspirations are, you can achieve them here. Eric W. Jackson, Sr., Ph.D.
Dr. Eric W. Jackson, Sr. and students who attend his weekly “Lunch with the VP” sessions have the opportunity to exchange in dialogue about things they like and would like to see improvement in, what they look forward to doing in their future, events/activities they would like to see more of on campus, and what faculty and staff members have mentored them along the way. This opportunity allows for them to hear first-hand experiences and advice from Dr. Jackson, as well as an open platform to ask him questions. This is just one of the few opportunities he gets to meet face-to-face with students and hear about their journey.